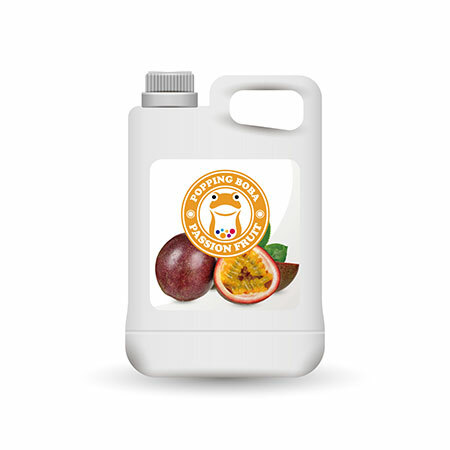 Sunnysyrup Food Co., Ltd. is involved in manufacturer, supplier and exporter a quality range of Passion Fruit Juice factory in Taiwan, which are designed using high grade raw material that is sourced from our respected vendor base, having years of experience in the market. These are exported at economical prices and are at par with the international quality standards. We have due to our focus on quality of products, customization, process and service levels, and our highly skilled service. If you are interested in any model of our products, please be free to contact us. Passion Fruit Flavor Conc. Juice is like ever victorious army in bubble tea market. Sweet and sour flavor mix together make this tropical fruit so delicious. If you add some passion fruit jam into the drink, it would be really tasty. This syrup can be made as smoothie, such as the rainbow smoothie, we usually add some passion fruit syrup on it to enhance ut's flavor. It is also the basic drink in bubble tea shop. Passion Fruit Conc. Juice is made from fruit juice, suitable for various kinds of drinks and tea beverages, this product is supposed to be dilluted with water or tea before use.